These are all pieces of information that I need often but always seemed to forget until I discovered a simple system of keeping up with it. I took the dividers from a set of address inserts that I didn't use and put them in my planner as a way to keep up with my notes, or "files" (more on them later). 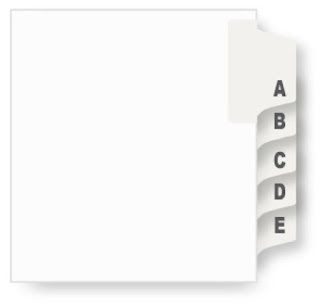 The information in my files section often comes and goes but the dividers remain. That is where the bits of information go - on the inside of the dividers. Use them just like a filing cabinet! Air Filter sizes, your hubby's debit number (develop a code if you don't want to put the actual number in your planner such as add +1 to the real number), door combination, frequently used account numbers, library number, small community post office hours, your wi-fi password, frequent take-out order - the list can go on and on! Free 2019 Compact Monthly Pages!